Regardless of whether an individual is sitting for an exam, dealing with work pressure or burdened with family problems, stress could often present itself as an inevitable and unpleasant factor that one may have to cope with, at some point in life. 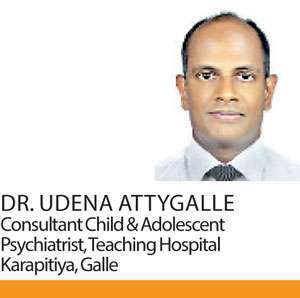 In an interview with Health Capsule, Child and Adolescent Psychiatrist at the Karapitiya Teaching Hospital Galle, Dr. Udena Attygalle, explained what leads to the condition called stress and how it could adversely affect one’s mental, physical and social well-being. Explicating the condition, Dr. Attygalle said that ‘Stress’ is commonly described as a condition that changes the physiology of the body. Accordingly, there may be bodily processes that may occur such as the increase in adrenaline and heart rate along with the development of stress. “While in earlier times, stress reactions were mostly the reaction to acute situations like being confronted by a dangerous animal, currently stress is more of a low level, but is a chronic issue. The daily stresses at work and at school are good examples for this”, Dr. Attytgalle said. “While the stress reaction is initially adaptive, in the long-term this leads to physiological changes like elevation of cortisol that are detrimental to physical health, especially the cardiovascular system. Chronic stress is also known to make our bodies more susceptible to illness and even infections by effecting our immune system. In terms of the brain, there are changes in the circuity of the brain that make it respond differently to stress; thus altering the way we respond to situations. This in turn can also effect our attention and other cognitive abilities as well. The preoccupations and anxieties will naturally effect how we interact with others” he explained. Elucidating how stress and depression differentiate from each other, Dr. Attygalle stated that stress and depression are two different entities. However stress can lead to depression. He said that depression in a clinical sense, is a persistence of feeling unhappy, being less energetic, feeling worthless and even thinking about suicide. “Stress per say is not a disorder. From a psychological point of view, situations that are perceived to be threatening to our well-being, be it exams, being with a person we dislike or constantly being under pressure at work can lead to stress,” Dr. Attygalle explained. According to the doctor, extreme stress can lead to a condition described as acute stress disorder in the short term or can have long-term effects such as in ‘Post traumatic stress disorder’. The symptoms of these conditions are extreme and include flash back of the incident, always being on edge, emotional numbing, and dissociation, he said. Furthermore, explaining how parents can help their children when dealing with exam stress, Dr. Attygalle informed that it’s crucial for parents to be away from their long-term hopes in relation to children. “While stressing on the fact that they have to pass one exam may seem rational, thinking long-term about all exams might create a situation that would impair the character development of the child. Thus the goal should not be to create unbearable stress that makes the child under-perform at the exam; by making the child anxious about other exams. Instead parents can try to create an environment which helps the child perform well while creating a learning opportunity for the children. Children should be given an opportunity to learn about themselves and how they should cope with stressful situations. This learning comes in handy for them when they are faced with adversity in the future” he added. Explaining how stress can lead to both weight loss and weight gain, he elucidated how the physiological aspects of chronic stress could negatively impact one’s weight. “While the physiological effects of chronic stress itself can cause weight loss, stress leading to depression and the resultant loss of appetite is another way of weight loss. If stress contributes to physical illness or alters dietary habits (i.e skipping meals), this too can cause weight loss. 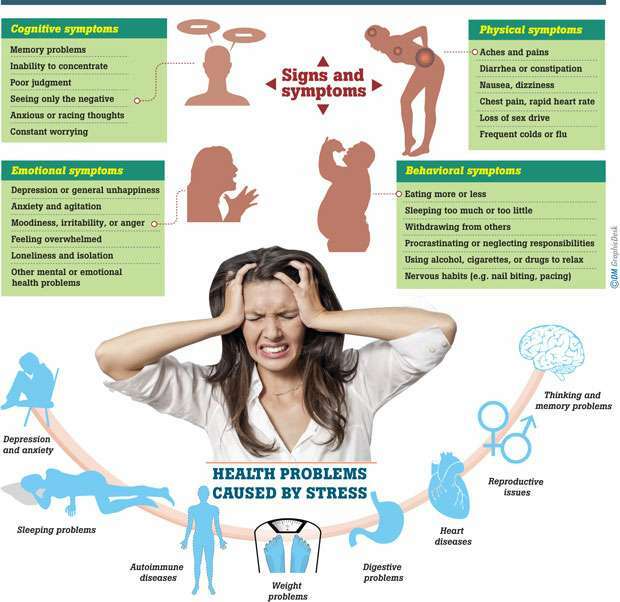 Stress can also lead to overeating as a way of coping (i.e. eating the whole cooking jar of snacks while watching T.V after work). If there is a lot of stress, a preference for a sedentary lifestyle after work can also lead to weight gain’ Dr. Attygalle added. When inquired into whether changes in dietary patterns could influence stress, Dr. Attygalle answered in the affirmative. “A healthy diet as well as our habits around mealtime help reduce stress. One doesn’t have to be an expert on nutrition, to know that a balanced diet including fresh fruits and vegetables that contain antioxidants ( protects against the physiological effects of stress) helps” he stated. Stating that treatment would be needed if the person finds it difficult to cope with stress, he further explained that in most cases, a change of environment ( e.g taking a holiday) or lifestyle (e.g. incorporating exercise to your daily routine or spending more time with friends) would help in coping with stress. “When this is not possible, helping them think differently about the situation they perceive as stressful and having devising a way of responding differently to these situations would help. If stress has led to another psychological issue such as depression or anxiety disorder, this will need to be treated” he added. In terms of support and understanding, he explained how an individual suffering due to stress should be approached and how help could be extended to overcome such situations in future. “Talking to the person under stress and making that person feel connected and engaging in little acts of helping would make a huge difference. With regard to children, it is important that parents are accessible, so that they can bring forward problems that they themselves cannot solve. If it is suspected that stress has contributed to the development of another condition such as depression it is best to seek professional help” he said.